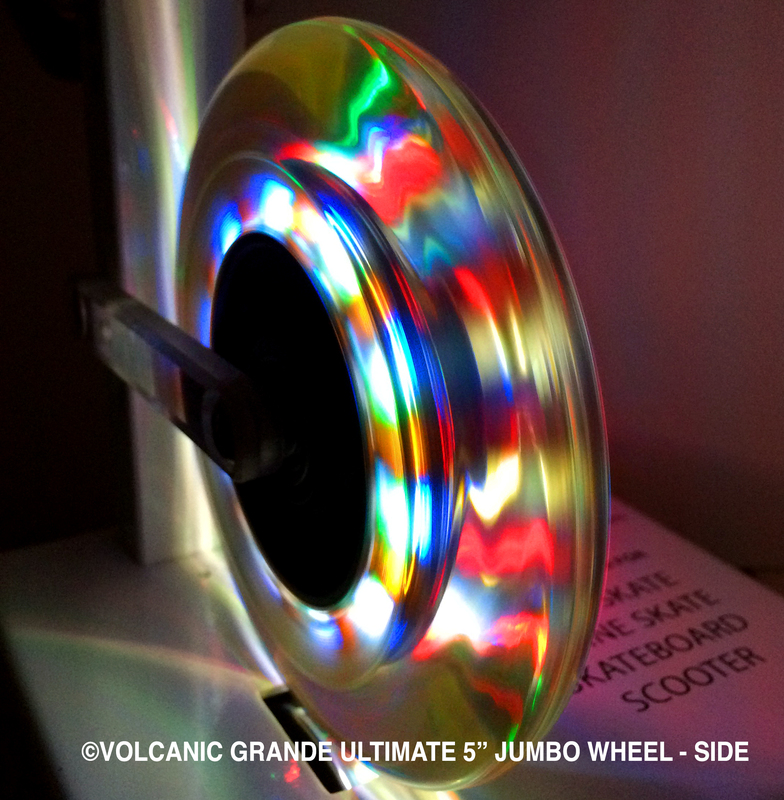 • The Only U.S. Patented Self Light-up Wheels. 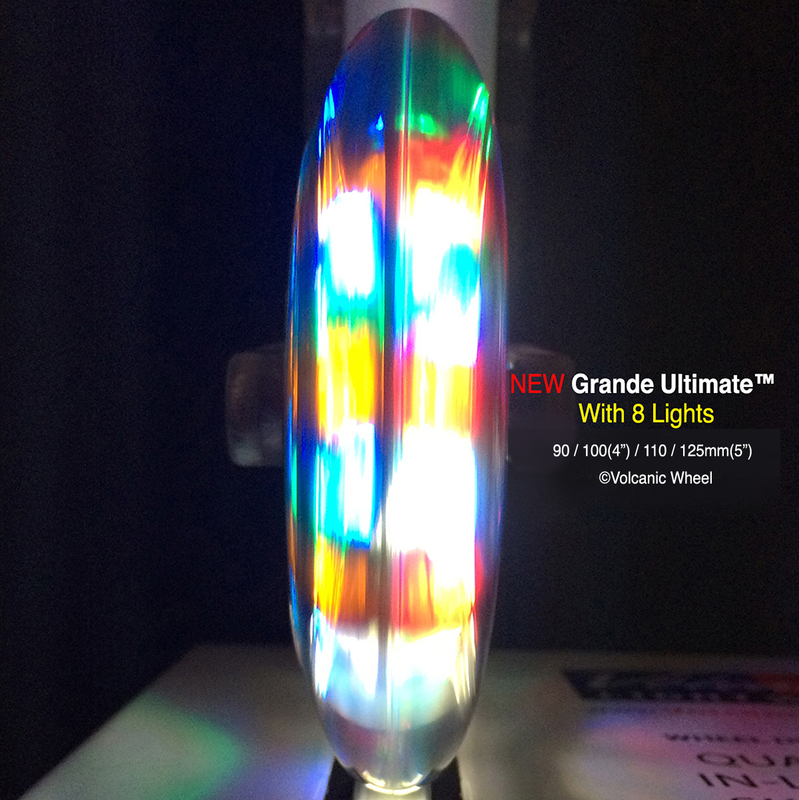 • Using the Latest Super Bright LED Technology. 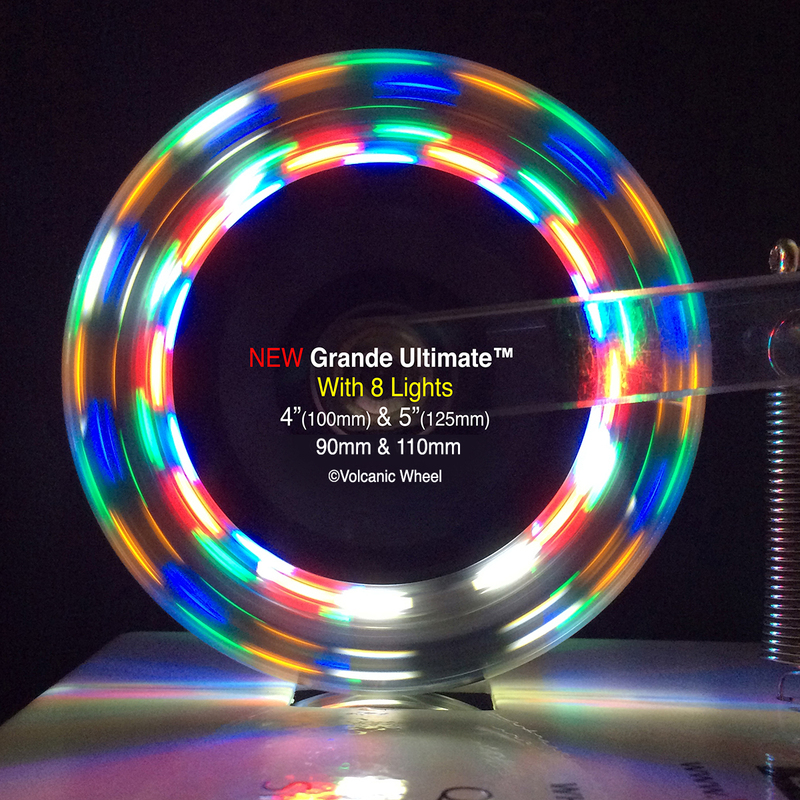 • Super Bright 8-LED Lights in each wheel. 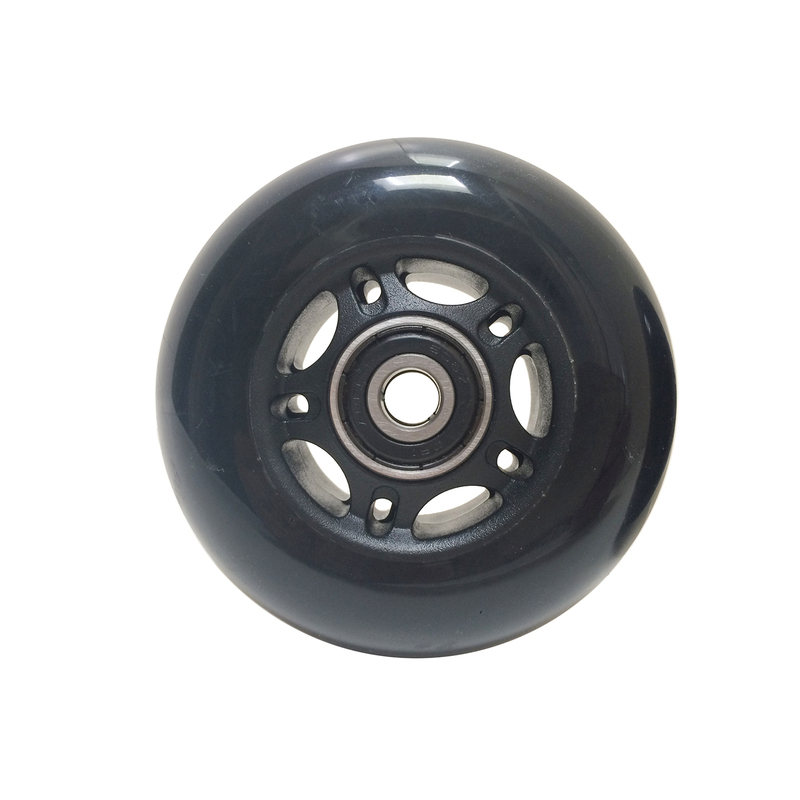 Try 5″x1.25″ Wide wheels for the Same Price! 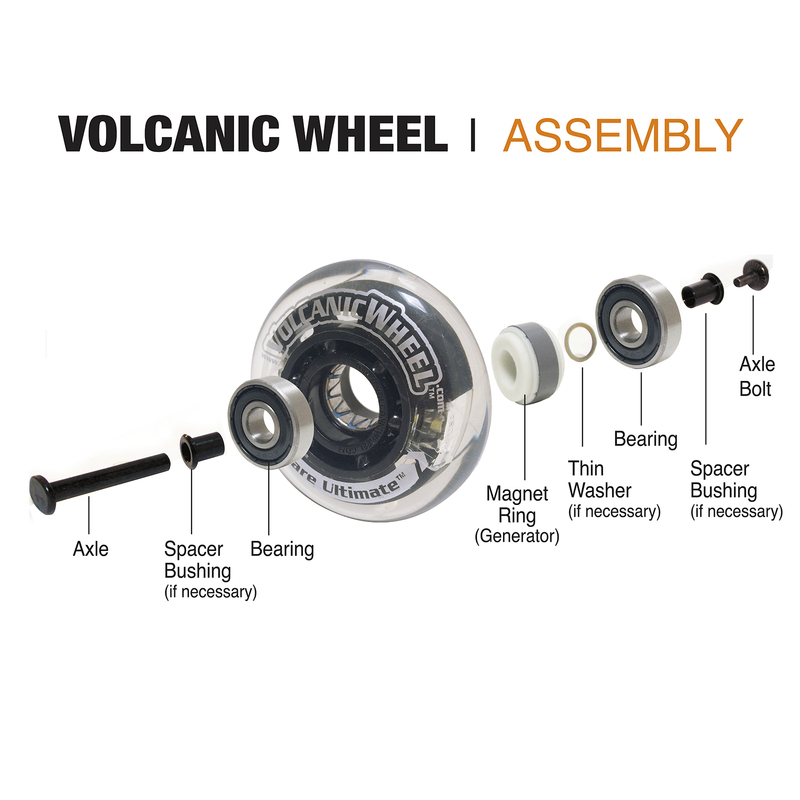 Volcanic’s 6th Generation Model: Most Improved & Upgraded version. Unique lighting system for 360° light visibility even in low speed. LOVE THEM !!! I’ve been in my wheelchair for over 30 year and up until now it was a bore. With these babies on my chair everyone can see them. The kids love them because they love things that light up. In todays fast paced world people are always on the go go go and not looking where there going but with these THERES NO REASON FOR NOT BEING ABLE TO SEE US. Get them you’ll love them.